Daily Style Finds: Finds & Deals: Dresses and A Sale! The Limited is having a Buy One, Get One 50% off sale - including dresses. Since it is buy one, get one 50% off, I picked a couple of dresses from each trend - leather, knit, tweed, and leather trimmed, and added a few suggestions of what to pair with each of them for a complete look. 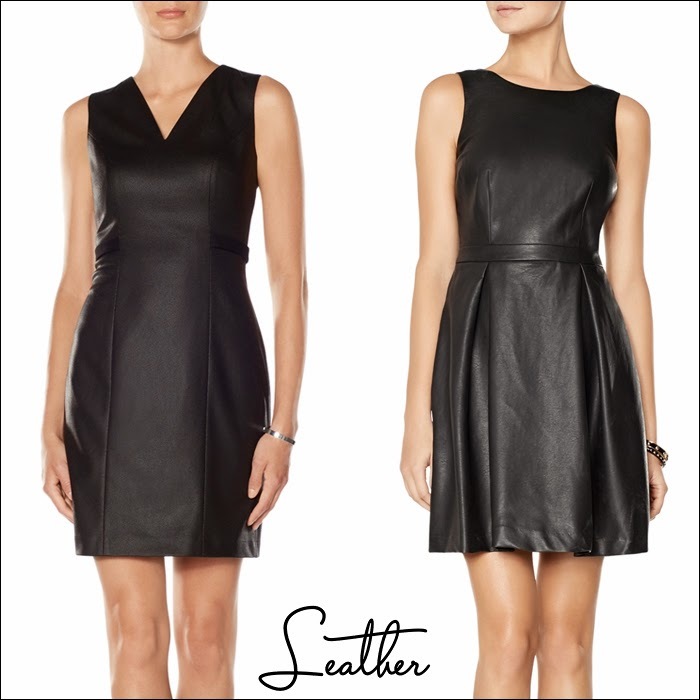 LEATHER TREND: The V-neck dress is a "leather look" dress, meaning it is a coated to look like leather. The V-neck and the coated leather give it a more edgy look. The other dress is a faux leather with a more feminine cut. To wear either of these into the fall/winter, pair them with either a knit turtleneck or button down, opaque tights, and either ballet flats, pumps, or you could even go with some booties. Also, I would accessorize with a necklace. 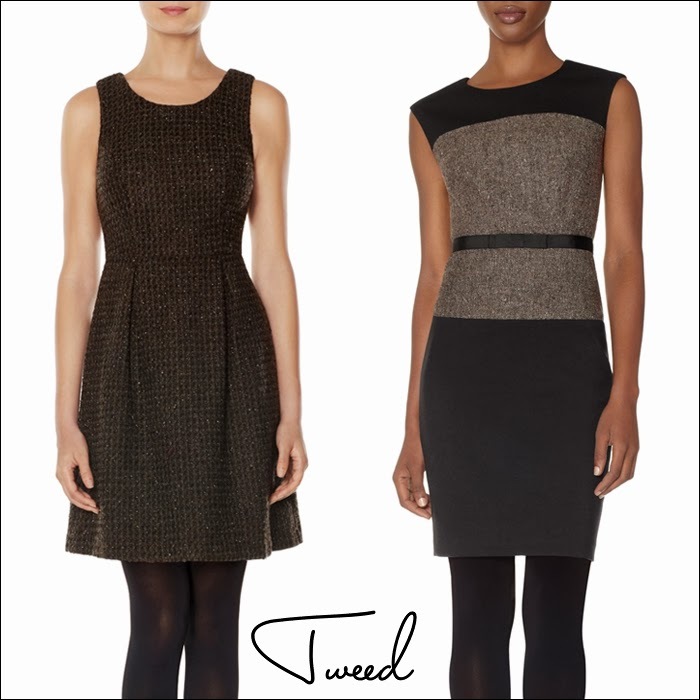 And to the dress on the right, you might even add this tweed jacket. KNIT TREND: I love that this looks like a dress but actually it is separates - a sweater and a skirt. This adds to its wear-ability and number of options - the skirt could be worn on its own with a turtleneck or V-neck sweater and the sweater could be paired with skinny jeans and booties. For these paired looks, I would keep it simple with either ballet flats or pumps. TWEED TREND: The first dress has a more youthful look with a higher waistline and fuller skirt, where the second dress is more formal with the grosgrain bow accent. For the first dress I would keep it more playful with tights and flats or booties. Also, for cooler weather, add a turtleneck or for a more edgy look a leather jacket. Also, I would add a statement necklace. For the second dress, I would keep simple, with tights and pumps or flats. LEATHER TRIM TREND: Clothing trimmed in leather is a big trend this season - seen on sweatshirts, t-shirts, skirts, etc. 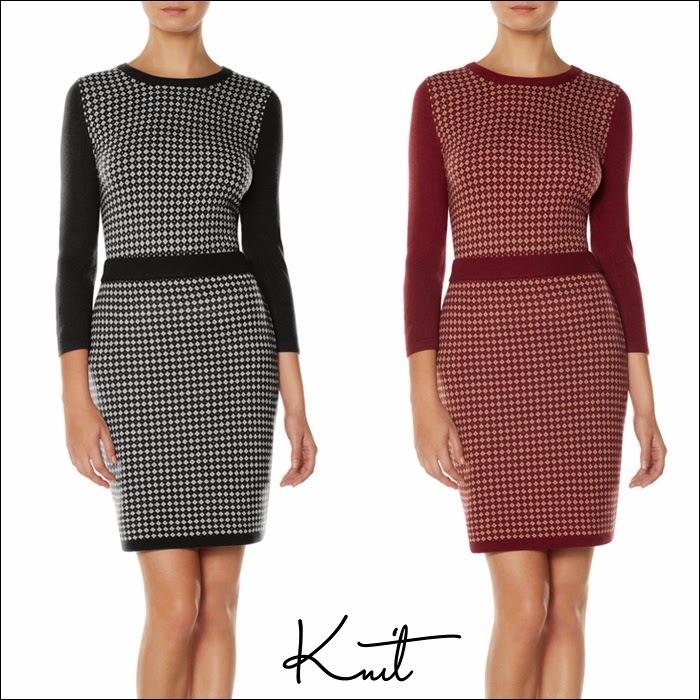 With the leather pattern on these dresses, I would keep it simple with flats or pumps. I like the black opaque tights with the gray dress. 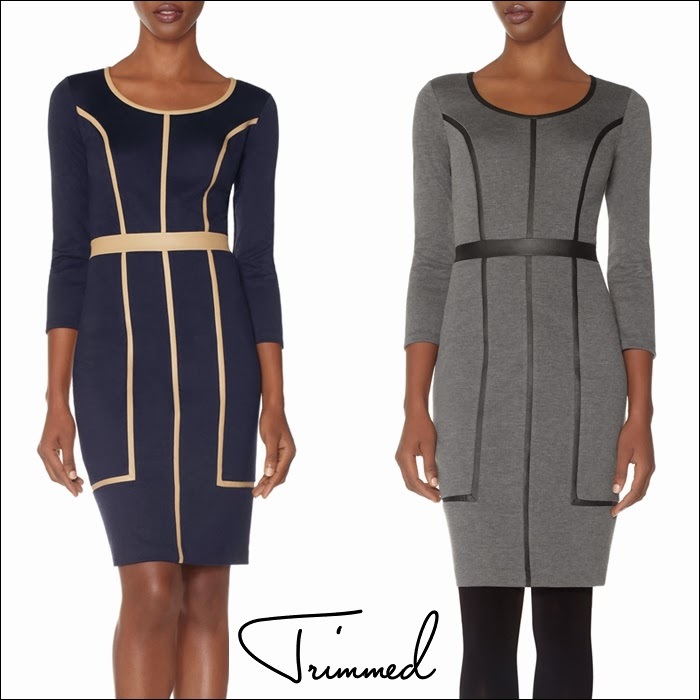 Also, since this is a more form fitting knit dress, I might go with Spanx tights (plus they are reversible, either gray or brown with black) or Spanx shapers.